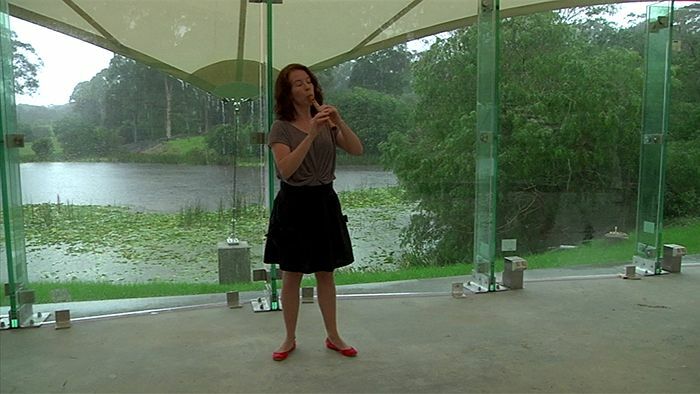 First sounds in the Four Winds Festival's new recital hall, Sound Shell, with Artistic Director Genevieve Lacey. Genevieve was Artistic Director of Four Winds from 2010 to 2012. Photo by Bill Brown. 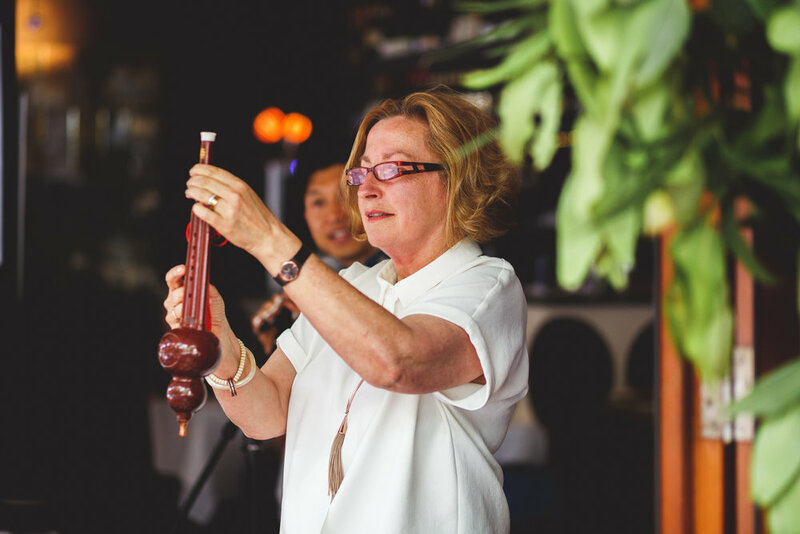 In 2017, I was honoured to receive the Creative Partnership Australia's Arts Leadership Award for my work spanning more than 10 years at Four Winds Bermagui. Below I share with you the story of Four Winds, as told at the award presentation by Carrillo Gantner. Four Winds started in the late 1980s as a shared idea among a group of neighbours including Sheena who yearned for the spiritual food of fine music to match the sheer beauty of their coastal environment. The first concert took place in April 1991 on a piece of scrapped dirt in front of a rough hillside. There was no sound system, shelter or toilets, just a small band of grateful and appreciative locals who brought their own deck chairs and thermoses to hear the voluminous international diva Rita Hunter and two illustrious Bermagui neighbours, Dr Michael Brimer playing Beethoven and noted actress Patricia Kennedy reciting poetry. 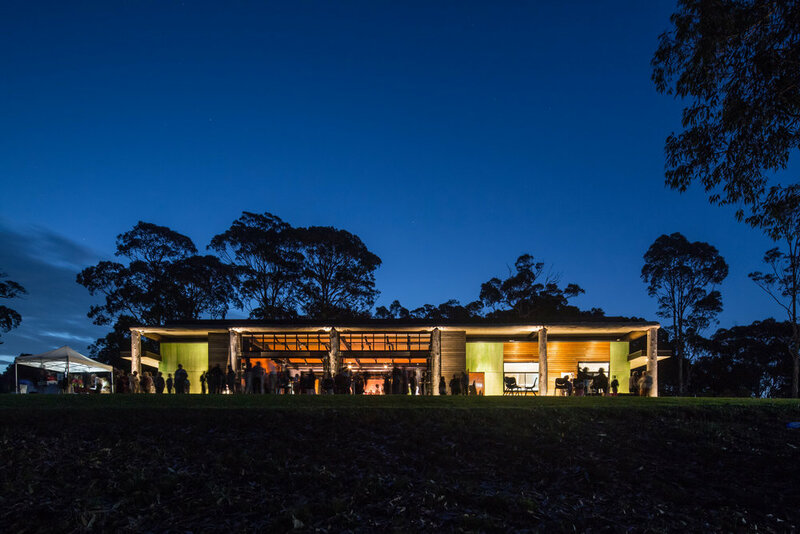 Funded and built under Sheena’s inspiring leadership, today Four Winds has the truly magnificent facilities of “Nature’s Concert Hall” as she named them: the outdoor Sound Shell designed by Philip Cox which seats 2,000 and the indoor Windsong Pavilion designed by Clinton Murray, a state of the art recital room with dazzling acoustics which seats close to 200 and is also used for schools programs, residencies and a host of other community uses. 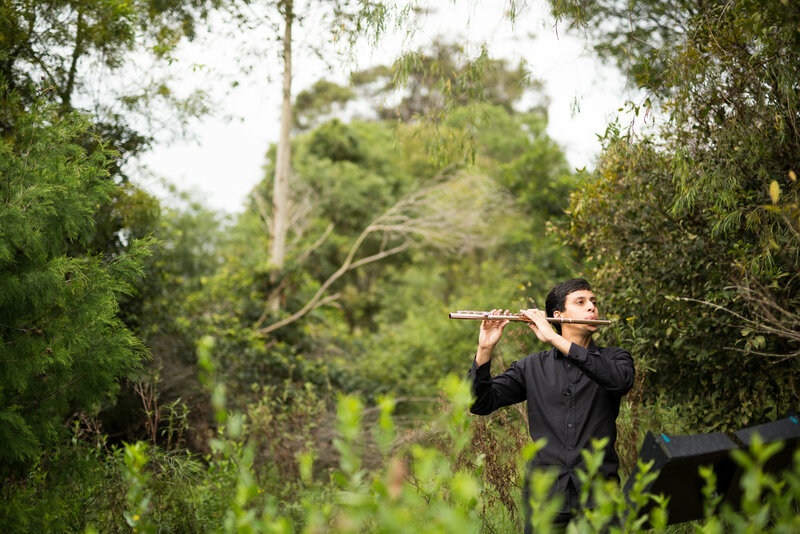 Today these facilities deliver a year round program of musical pleasures delivered by national treasures and international greats as well as by the next generation of Australia’s outstanding musical talent. Sheena has built active partnerships with the Australian National Music Academy, the Sydney Opera House, the National Music Teachers Education Program, the Bega Valley Shire Council, state and federal funding agencies, plus developing international linkages with producers and venues across the globe. She is a tireless networker and formidable fundraiser whose success is based on solid preparation and research married to irresistible persuasion and a personal passion for the cause. She has led through commissions, residencies, exchanges, respectful and reciprocal engagement with the local Yuin people, digital content, large and small scale community music projects that have taken over the wharf, the headlands or the football oval, and an artistic vision that extends way beyond the centrepiece of the original biannual music festival that now attracts thousands to include the expansion of music learning opportunities for young people through education programs and performances in schools across the south coast region. Sheena Boughen is a true leader who has brought together teams of people motivated and energised by a shared purpose and commitment. What she has achieved would be outstanding in a major metropolitan centre; in a regional setting it is utterly remarkable.